The National Mall in D.C. at dusk, during the Cherry Blossom Festival. 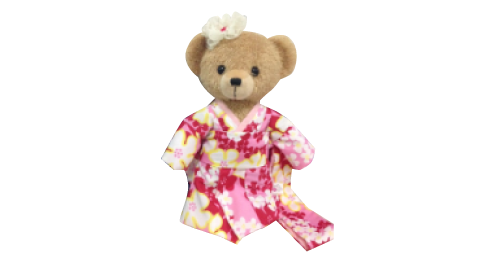 The National Cherry Blossom Festival is funded by sales from a wonderful gift shop. Although climate change is impacting all aspects of the travel industry, Washington, D.C.’s annual strong>National Cherry Blossom Festival is not to be tampered with. We’re happy to share the best of the travel deals we’ve found to enjoy the nation’s capital and the gorgeous trees during spring because it’s one of our top spring break ideas. Let’s review some of the current offers — you can always check on the National Cherry Blossom site for last minute hotel offers. The posh Mandarin Oriental, Washington DC introduces the new Cherry Blossom Views & Cruise deal at their ideal location to view the Tidal Basin and its cherry blossom trees. Available only from from March 19-April 17, 2016, this ultra-luxe offer requires a minimum two-night stay for daily rates starting at US$495. The packages includes 2 passes to the Odyssey Washington, DC Cherry Blossom Lunch Cruise, a welcome treat, a District Survival Backpack — perfect for families — with official Cherry Blossom Festival brochure and area map; a selfie stick, sunscreen and snacks, overnight parking and complimentary WiFi. You actually don’t even have to go there: the hotel has cherry trees in its gorgeous garden which were donated by the granddaughter of Tokyo Mayor Yukio Ozaki, who made the original donation to the city. Another perk themed to the season is the spa’s morning Qigong Chinese health therapy which combines gentle exercise with a guided meditative walk. Afternoons from Thursday to Sunday, the Empress Lounge will serve an Afternoon Tea. For additional information or to make reservations, please call 202/554-8588 or visit MandarinOriental.com/washington. During spring, Fairfield Inn & Suites Washington D.C./Downtown is offering a Cherry Blossom Package with two adult tickets to OnBoard’s Cherry Blossom Tour, a guided tour of the national monuments atop a double-deck bus offering the best views of the colorful trees. The hotel is located in the center of Chinatown, within walking distance of the National Mall and Smithsonian museums. Families can book can get more space in one of nine custom suites, featuring a separate living area with a pullout sofa, mini fridge and microwave. The package also includes a 2pm late check-out, a hot breakfast buffet for two, and WiFi access. The overnight package is available March 14-April 20, with rates starting at US$279 per night using code P91. For reservations, please call 888/236-2427 or go online. Cherries have driven Washington D.C. crazy! The boutique-style Hamilton Hotel D.C. is celebrating the National Cherry Blossom Festival with a hotel stay package and dining specials at its signature restaurant 14K. Travelers can enjoy hotel accommodations and direct transportation to the main event, while all guests can experience Cherry Blossom-inspired mixology and cuisine (cherry cobbler for dessert!) in an exclusive prix-fixe dinner, dessert and martini flights. The hotel stay package is available only March 20-April 17, priced $15 more than the best available rate at time of booking. 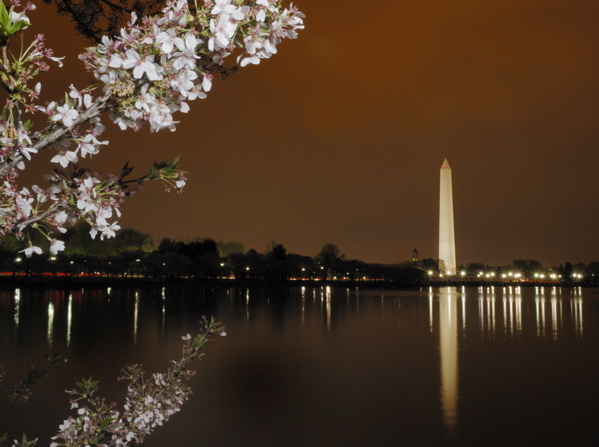 The “Cherry Blossom travel package” includes transportation to and from the cherry blossoms at the Tidal Basin ($20 max value), chocolate covered cherries at turndown and free in-room Wi-Fi. During the Cherry Blossom Festival, guests can also purchase two appetizers at 14K and receive a complimentary Smoked Bing Cherry Manhattan, said to be infused with an “uplifting scent of cherry blossom.” Reservations can be made by calling 202/218-7575 or visiting Hamilton Hotel D.C. Families can find top value a bit out of D.C. at the very convenient Sheraton Tysons Hotel, an ideal location to experience the Cherry Blossom Festival, the Easter holiday or a Spring Break getaway with easy access to the Spring Hill Metrorail Station, highway and airport transit. Special packages start at just $139/night through May 27, 2016. Their Cherry Blossom Package or Metrorail Exploration Package (available any Friday – Sunday) includes a room with a view of the Blue Ridge Mountains, Virginia Woodlands or Tysons Skyline. Plus, a “Spring Exploration” packet with area guides, maps, tips and helpful local information; complimentary breakfast for two at Brix And Ale; access to the Sheraton Fitness and Indoor Pool; free guest room WiFi and overnight parking. To book, call reservations at 888/627-8230 or go to the Special Offers at SheratonTysons.com. Last but not least, is a Grande Dame of D.C., The Willard InterContinental, a hotel that housed both President Abraham Lincoln and Dr. Martin Luther King Jr. Over this same Festival period, the gorgeous Willard celebrates the hotel’s unique history with Japan with a Cherry Blossom Afternoon Tea (served Thursdayto Sunday afternoons), Japanese inspired cuisine and specialty cocktails at the Round Robin Bar, as well as traditional Japanese art and culture. Over the past 156 years, the Willard has embraced its history with the Japanese after hosting Japan’s first ever delegation to the United States in May 1860. Comprised of three Samurai ambassadors and an entourage of 74, the Japanese delegation came to Washington to meet with President James Buchanan to ratify the Treaty of Friendship, Commerce and Navigation in an effort to build a close relationship between the two nations. Fifty-two years later, in honor of their enduring friendship, Mayor Yukio Ozaki of Tokyo gifted Washington, D.C. with 3,000 cherry blossom trees. In celebration, the Willard InterContinental features real cherry blossom trees throughout the hotel’s lobby and Peacock Alley, where handmade Kimekomi dolls by Akiko Keene of the Washington Japanese Dolls and Crafts School are displayed. New this year to the Willard’s Cherry Blossom Celebration is programming celebrating Japanese culture and art. Offered on April 2, 10, 16 and 17, from 5pm-6pm, the Willard will feature Japanese music and dance performances, martial arts routines, as well as Japanese Calligraphy, Shiori and SUMI-E Brush Painting Demonstrations. For more information, visit Washington.Intercontinental.com. Next Article Next Article Why Stay at Disney World Hotels And Resorts?